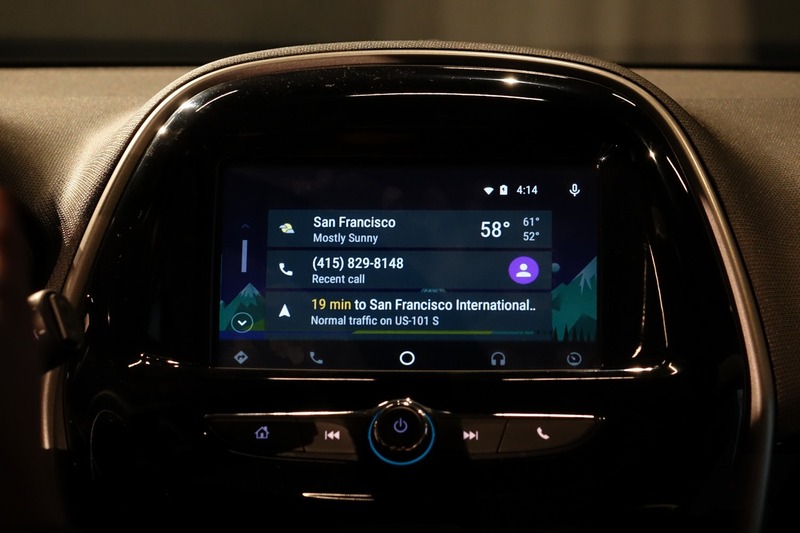 Want a car with Android Auto? Chevrolet probably just became your best bet: the American automotive giant just announced that 14 (fourteen, that's right) of its 2016 model year cars will get it. The really important part, though, is that 10 of those 14 will come with an Auto-compatible system even at base trim level. That's pretty outstanding. Yes, if you count the convertibles as the same car as their coupe siblings, it's 12 models, but still - damn impressive. I also explicitly got confirmation that the cheapest car in the US lineup, Spark, will have an Auto-enabled head unit at every trim level. The 2015 Spark starts at just a bit over $13,000 (with destination), so I wouldn't expect the '16 to be a huge amount more. Let's think about that for a moment. For the price of not much more than an Apple Watch Edition and matching gold MacBook, you can get an entire car with Android Auto. Oh, and the car should last slightly longer than two years before becoming hopelessly outdated. It was strongly implied to us that, even though exact trim info isn't available yet, the vehicles that don't have Auto at the very basic price tiers are only the ones that make sense. The lowest trims (and I mean the lowest of the low - fleet level) on the Silverado, Silverado HD, and Colorado will come without the Chevy MyLink display necessary for Android Auto. This makes sense, because they're trucks, and if you're buying a truck for a fleet or other actual work usage, you may just want it stripped of any all options to keep the price down. Chevy sees this as the exception, not the rule - most of the trucks that end up on dealer lots will have a compatible system. The one car (versus truck) of the group that probably won't have an Auto-ready head unit at its most basic configuration is the Malibu, which is also a popular fleet vehicle. Again, Chevy suggested that the number of Malibus you'll find at dealers without at least the 7" MyLink system will be very small - all but the truly stripped cars will have Android Auto as standard. That also means every 2016 Spark, Cruze, Camaro, Impala, Volt, Corvette, Tahoe, and Suburban sold in markets around the world will come with or get Android Auto via a future update. Yes, I know that last part is a bit less than reassuring, so let me elaborate. Chevrolet has two infotainment systems it's pushing for 2016 - MyLink 7" and MyLink 8". One is billed as a basic system, one is a premium system. You can guess which is which. Both are also from different suppliers, meaning different chipsets and parts, so Auto (and CarPlay) must be developed and tested on both systems. Right now, the MyLink 7" will support Android Auto right off the showroom floor - no updates (supposedly) necessary. The nicer 8" system isn't quite there yet. Chevy is committed to putting Auto on the 8" systems, though, and customers will get a software update to add support at a later date. And yes, that probably means a trip to the service department at the dealer. 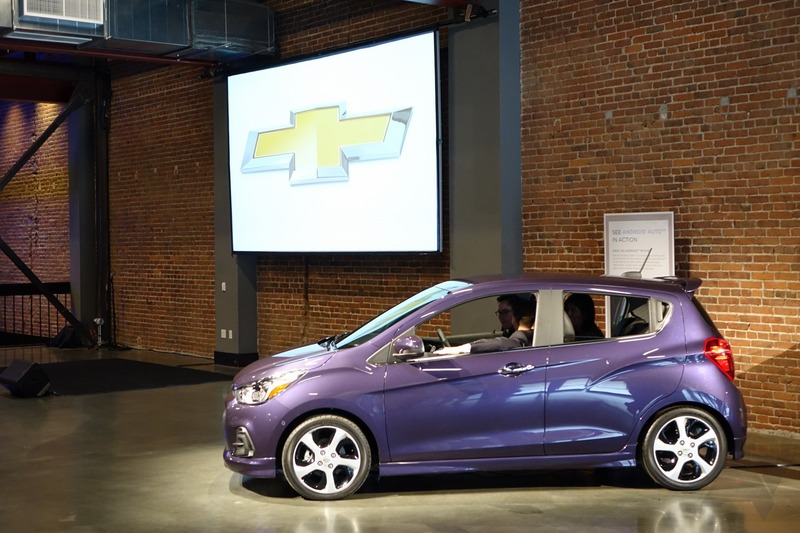 Regarding the "around the world" part, Chevrolet actually is doing something quite cool. Your country isn't on the supported list for Android Auto by the time Auto-ready cars come to market? Chevrolet doesn't mind - your car will still ship with Auto compatibility (assuming it's the 7" system), so when your country does get it (or you trick your phone into activating it somehow), your car will be ready to go. That's pretty cool. As to the question all you current GM/Chevrolet owners want answered, I'm sorry: no 2015 model year or earlier Chevrolets will get Android Auto, and I sincerely doubt there will be an easy way to "hack" it. Chevrolet is setting a hard cutoff here, but that's probably what you can expect of almost every carmaker's strategy with Android Auto (Hyundai is definitely a bit of an oddball with the '15 Sonata upgrade). As to why current vehicles won't be upgraded? There are probably a multitude of business and technical reasons for the decision, but at least one of those is the display panel - Chevy wanted multi-touch capacitive displays across its entire fleet for Android Auto and CarPlay (so you can pinch to zoom and such), and even the '15 models didn't have them. The first Chevrolet you'll be able to buy with Android Auto? Chevrolet doesn't really discuss production start timelines, so we don't know yet. While I may have heard Corvette will be the first to ship with the new 8-inch system (which will have CarPlay at time of sale), that means it will have to wait for a software upgrade down the line before it gets Android Auto. The 7" system that ships with Auto and CarPlay already good to go appears on a more limited selection of vehicles, but the earliest-announced of those are the Malibu and Spark, so I wouldn't be surprised if one of those is the first Chevy we see with Auto. But with the 2016 Cruze getting unveiled very soon, it's hard to say which will actually be first, and more importantly, first in volume. We'll certainly be on the lookout for timing specifics as they happen, but for now, you've got the bulk of the details for Chevy's 2016 Android Auto plans. As to other marks under the large GM brand (Cadillac, Buick, GMC, and GM's non-US marks like Opel), I'd expect similar announcements from them later this year. While not unified across every brand, GM's tech portfolio is definitely getting more slim and trim, so the sister brands shouldn't have a hard time implementing this on at least some of their vehicles.